MOSCOW. May 6 (Interfax) – U.S. President Barack Obama expects that relations with Russia will improve after the source of current tensions between the two countries is eliminated, U.S. Ambassador to Russia John Tefft said. “While President Obama is not able to attend this year’s commemoration [of the victory in WWII in Moscow on May 9], I know that he hopes to see the relationship between our two great nations improve, after we resolve the source of recent tensions,” Tefft said in an interview with Interfax in the run-up to the 70th anniversary of the victory over Nazi Germany. “In considering our representation, we took into account Russia’s ongoing violations of Ukraine’s sovereignty, as have several of our European Allies,” he said. 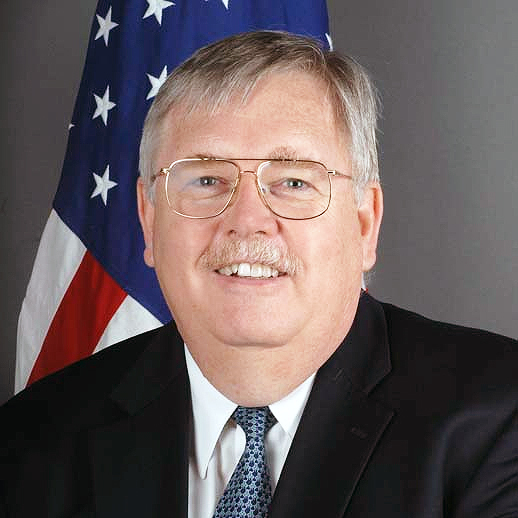 Tefft said he would be proud to represent the U.S. in Moscow during the 70th anniversary of Victory Day. The full version of Tefft’s interview will be published later on www.interfax.ru and www.interfax.com.